– Read about their experiences and outcomes! The light in the tunnel! For years I have suffered with chronic sinus infections and kidney infections resulting in symptoms of fatigue, pain, low immunity and a general sense of being unwell. Each flare up was met with another course of strong anti-biotic which was fighting the symptoms but never got to the root cause. My energy levels were low and often interfering with my quality of life. 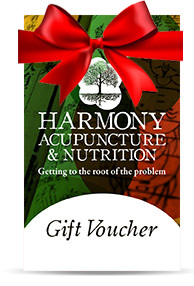 At the start of this year I attended the Harmony Acupuncture and Nutrition Clinic where I met Rachel (better known as my savior!) whose highly professional, friendly and holistic approach has finally left me symptom free after 13 years. Together we discussed my full medical history and put a planned treatment together which consisted of food elimination, which removed any foods I was intolerant too and supplement advice and also an intense course of acupuncture to alleviate the symptoms. Initially I had a fear of needling but after the first session it turned out to be more pleasurable that painful. After two weeks, I could already feel a massive improvement where the pressure in my sinus had gone, I was breathing and sleeping better and had energy to burn. After one month I was symptom and anti-biotic free which after nearly 13 years of suffering I was left exhilarated and astonished. The whole experience was thoroughly enjoyable and I could not wait for my weekly sessions to come around again. The clinic rooms were peaceful and harmonious and almost felt like I was attending a Spa rather than a treatment. I was left pain–free, de-stressed and ready to take on the world again. I am still symptom free three months later! The overall experience was amazing and I am forever grateful. I attended acupuncture with Rachel Barry for a problem I was having with knee pain. I had been suffering with knee pain for a number of years which was gradually becoming more severe and was affecting everyday life. At my first appointment Rachel discussed the issues I was having and the approach she would take over the following weeks. I found the session to be very relaxing and was very surprised the days after the session that I felt a difference in the pains in my knees. During my sessions, Rachel also encouraged me to consider my diet and that I should start taking a joint lubricant (flax oil). I went to acupuncture one session per week over 4-5 weeks and was amazed each week at the improvement. As a childcare worker, mobility is extremely important, Rachel has given me back mobility and I am now pain free. I really appreciated Rachel giving me an honest time frame for treatment, she stuck to the plan set out on our first assessment and did not deviate which allowed me to budget effectively. I will be recommending Rachel to friends and family, her friendly and professional manner put me at ease immediately and I had confidence from the very beginning that she would help with my issues. I will not hesitate to return for any other issues in the future.